How much do I love chamomile? Let me count the ways! We’ve talked about chamomile tea and other uses for this powerhouse medicinal herb, but let’s look at some more awesome ways you can be using it. German chamomile (Matricaria recutita) is the annual version and gets quite tall and delicate. Roman chamomile (Chamaemelum nobile) is the perennial version and tends to be more of a robust ground cover. Both are equally effective so use whichever type you can get or have an abundance of. You can also find dried chamomile flowers here and chamomile flower powder here. Chamomile tea is the perfect remedy for dry or irritated eyes. I see so many people talking about “eye floaters” these days. How many of us take the time to wash our eyes at the end of the day? I was surely neglecting this, so after weeding in the garden all day and flipping all manner of pollen and dirt into my eyes I began to add chamomile tea to my nightly ritual. The tea must be cooled completely and then it is simply splashed onto the face and into the eyes. You can get more targeted with the application and use and eye dropper or eye cup for infections, pink eye, or scratches. Chamomile is an anti-inflammatory plant and is a really nice choice to help calm any redness in your face. This is especially helpful during the teenage acne years. A chilled cup of chamomile tea at the end of the day before bed is very refreshing! You can also use the cooled tea on a wash cloth (or tea bags) over puffy eyes or dark circles to start the day looking refreshed. Enjoy this recipe for homemade chamomile facial cleanser. Perhaps dye isn’t exactly the right terminology here. Maybe brightener is the better way to say it. Chamomile tea added to homemade shampoo or conditioner can bring out blonde highlights, lighten, and brighten hair. Check out this other article on herbal hair dyes you can make at home. There are many natural options to soothe a sunburn and chamomile is one of my favorites. Cool tea sponged onto areas that are sore and inflamed will quickly take away the pain. You can also check out our article on how to make a natural sunburn relief spray and other natural sunburn remedies. Spray some chamomile tea on your compost pile to add nutrition and speed the breakdown of your garden waste. This flower is a staple in biodynamic farming and gardening practices where composting is a key method to increase soil health. You will find chamomile as a remedy for many common plant problems, whether you are adding it to the soil, the compost, or it’s sprayed directly on the plant itself. Chamomile tea makes a great garden spray. It is safe for all your leafy vegetables and a boost for your flower bed. Why is it helpful? The compounds found in chamomile have been used to prevent many common plant diseases and fungal infections. Spraying with it will increase overall plant health. Chamomile tea is mildly fungicidal. It can be helpful when you are starting seeds to spray your trays with chamomile tea to prevent what is commonly called “damping off.” Damping off is the saddest thing to have happen after you’ve put so much time and energy into your new plants. Just as they are beginning to get their leaves and really get growing, your seedlings shrivel and rot. I make a pot of chamomile tea fresh each day and keep it in a spritzer bottle for the greenhouse watering chores. Haven’t you ever just picked a chamomile flower and eaten it? My kids are sure to eat a few while we pick, but I bring in a handful to decorate salads or desserts. Chamomile is nutritious and delicious, providing us with a decent source for potassium and Vitamin A. We also have another article here all about eating flowers for health. If you have a container to burn incense and a handful of dried chamomile, you’ve got the makings of a great smelling outdoor centerpiece. Citronella may be more traditional, but if you’re like me you don’t love the smell. When I’m entertaining outside during the summer I place my incense burner in the center of the table. You can also use a small heatproof bowl. Place a charcoal disc in the bowl and get it lit. Throughout the evening, as long as your charcoal stays hot you can toss bits of chamomile into the bowl to keep the mosquitos away. 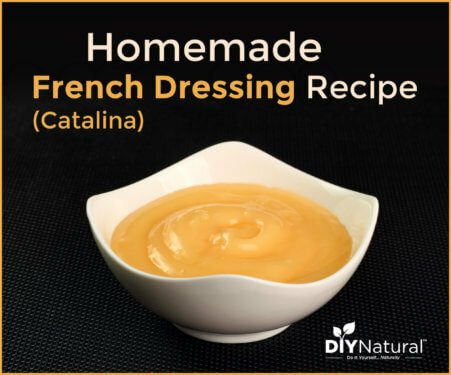 Here are two more recipes for homemade insect repellent spray and insect repellent cream. 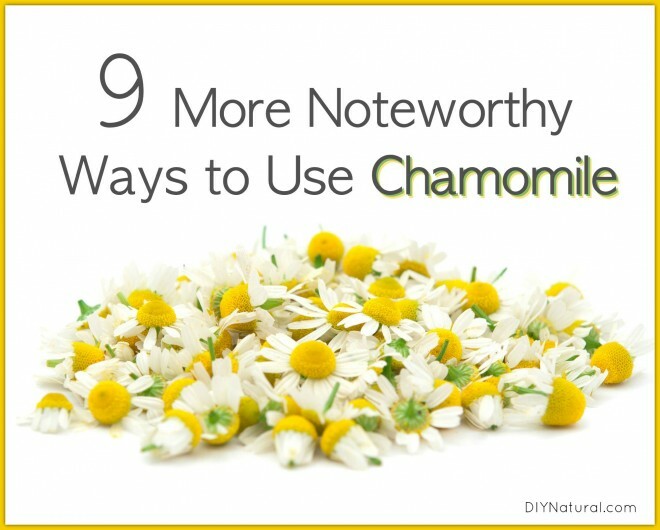 Do you use chamomile? If so, what are your favorite ways? Share your ideas with us! When my husband or I get canker sores, we steep a chamomile tea bag in very hot water for a minute or two, then place the bag directly on the canker sore for 10 – 15 minutes at least once a day. 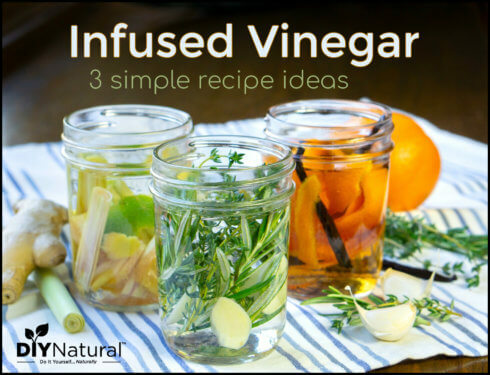 We discovered this trick when my husband got two AWFUL canker sores that were actually oozing. His (at that time) usual regimen of various essential oils wasn’t touching these two, and they kept getting worse. I came across the chamomile tea bag remedy while trying to figure out if he needed to see a doctor or not. He figured he give it a try, and it made a noticeable difference in pain within a day, and both healed very quickly, even though he only did this once a day. I suddenly became VERY angry about a situation and was not able to express the anger in any way, and IMMEDIATELY there was a sharp pain in my left ovary. The pain continued intermittently for months. I was already in my second year of menopause, so it was very disturbing that the homeopathic remedies that were usually helpful were not working for me. My homeopath suggested making a hot compress with chamomile tea and lying down with it applied directly over where the pain was. Each time I did that, I felt immediately relaxed, and would sleep for quite a while. During those months, after what I called my ‘chamomile coma’ I would awake feeling more able to deal with the anger that had begun my pain and realize how fear was affecting me. Seven months later I was strong enough to get myself out of the situation that was causing my distress. During the next three months, still using chamomile compress, the ovary pain gradually diminished until there was no pain at all. I realize now, after years of studying about these amazing remedies, why the chamomile was helpful: There is a homeopathic remedy that is made from Chamomile and it is known to effectively heal a person with anger that is held in, suppressed, repressed. I love Chamomile. Thank you for posting all the other good stuff that this plant can be put to use for. I am going to try the spray for my plants. Have a great weekend everyone. Blessings. I just loved Chamomile tea until I learned it is related to Ragweed and I was allergic. Every time I drank Chamomile Tea I was getting ragweed symptoms. Please be careful. I love learning from you and others about the various uses of natural plants! I noticed in your bio that you are a beekeeper. Have you heard of using juniper oil against the bacteria that harms bees? I just read a snippet of a clinical research article and wondered if you had heard of it and put it into practice. Thanks! Keep sending out the great info!